This was always the problem faced by Retail Computer Solutions (RCS) who work with retailers across many different verticals from farm shops and speciality fine food to department stores and pet shops. 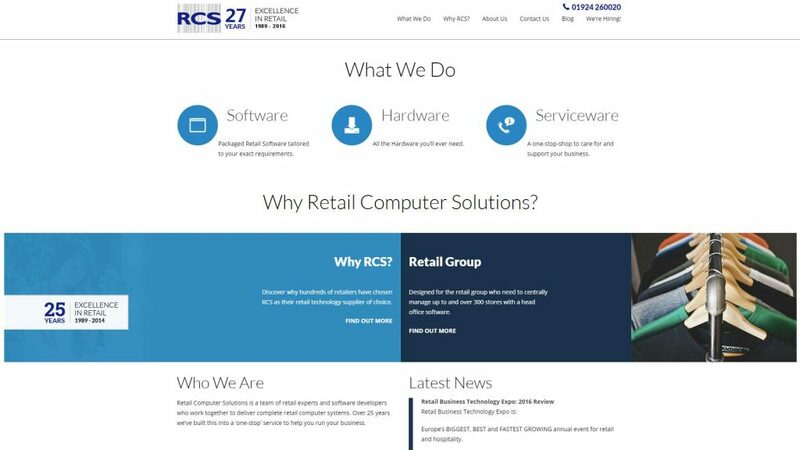 RCS excelled at delivering Head Office and Warehousing solutions to large retailers but many of the leads generated by the website were too small to benefit from the software. So this meant wasted time spent by the Sales team on phone calls with the wrong type of customer. Despite hiring a number of digital agencies none of them delivered the results required. That’s when I was employed as the first digital marketer at RCS. My goal was to raise the value of leads generated by the website. When the main website was updated by an agency it was my job to make improvements, write copy and get results from the website. After a lot of testing, experiments and research I decided to turn the homepage into a one page sales letter that focused on some of the pain points felt by the target audience. Rather than try and target the homepage at many different types of retailers I looked for a common thread between them all. I knew from my time at Retail Computer Solutions and talking with the sales team that it’s usually the Financial Director (FD) who has the final say in purchase orders. So that is who I aimed the homepage letter at. Can you see the difference in just the headlines? 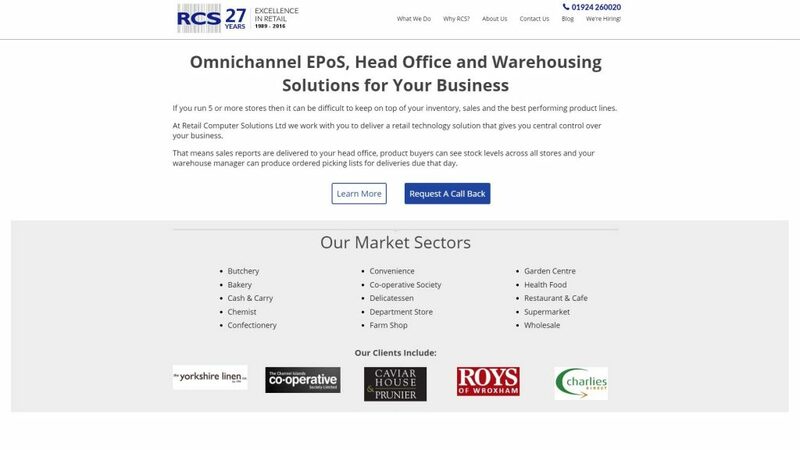 Going from “What we do” and “Why Retail Computer Solutions?” to “Omnichannel EPoS, Head Office and Warehousing Solutions for Your Business”. It’s already turning the homepage from a “me” focused page to an “audience” focused page. Add to that the opening sentence uses second person to talk with the audience: “If you…” etc. As you can see, web content is about continual improvement. Within a short period of the new homepage going live the website delivered two large leads. One was a chain of 50 stores and a leader in its niche; the other was a buying group of 18 companies with over 60 stores. These are the kind of leads RCS was hoping to attract through the website.